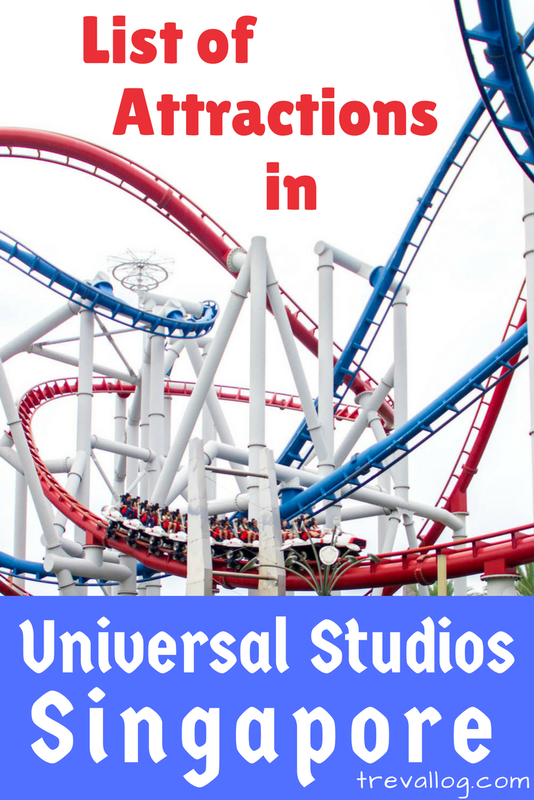 There so many rides, shows, and street performance in Universal Studios Singapore. And there are so little time to explore the park. 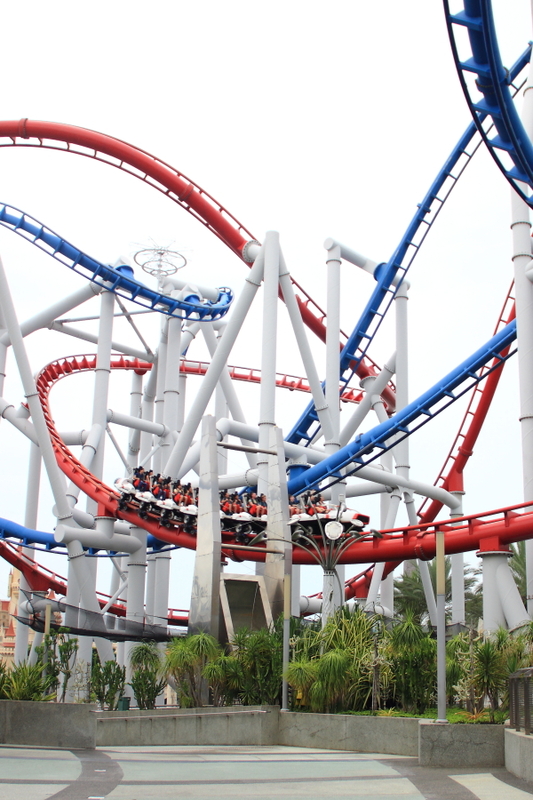 If you want to know how to maximise your visit to USS, read my guides here. 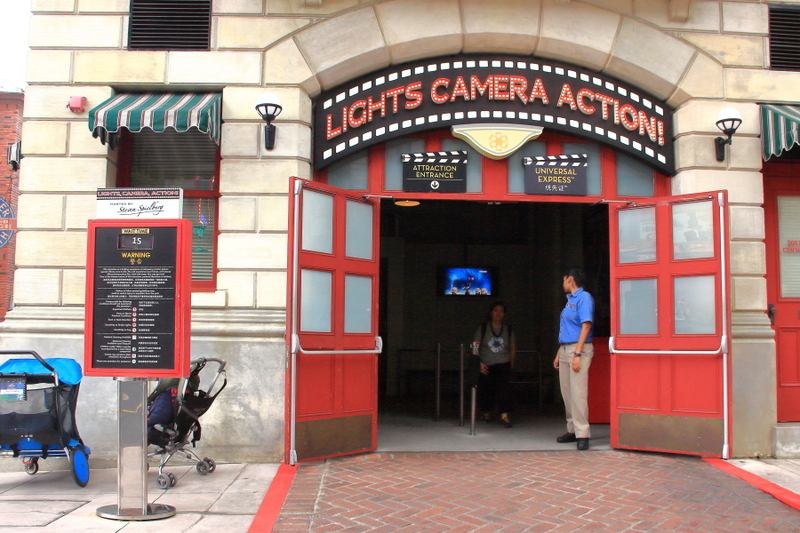 One of my tips is to decide what attractions to visit prior to arriving at the park. 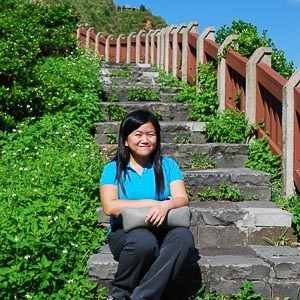 By doing advance research, you can decide which one to prioritise and which one to let go. Here is the full list of attractions, as of mid of 2016. I indicate my favorites as well. 2. 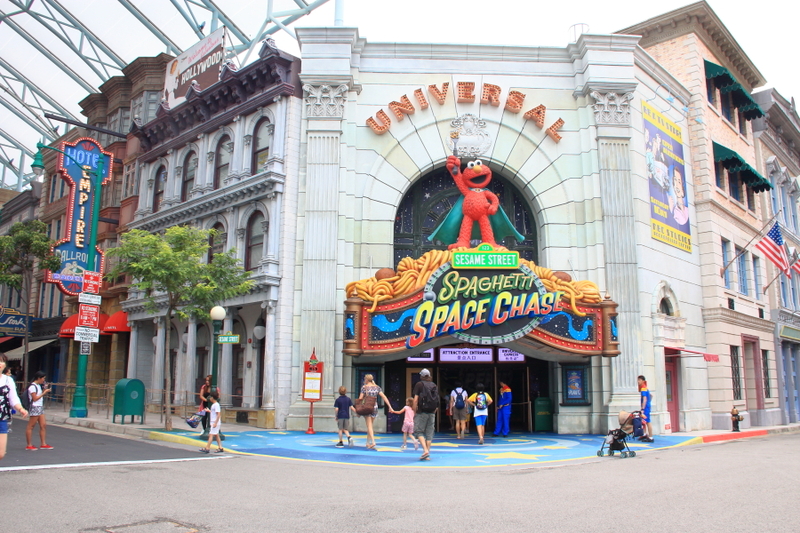 New York: Sesame Street Spaghetti Space Chase [For kids] – basically you sit in a carrier and go through a tunnel . 3. 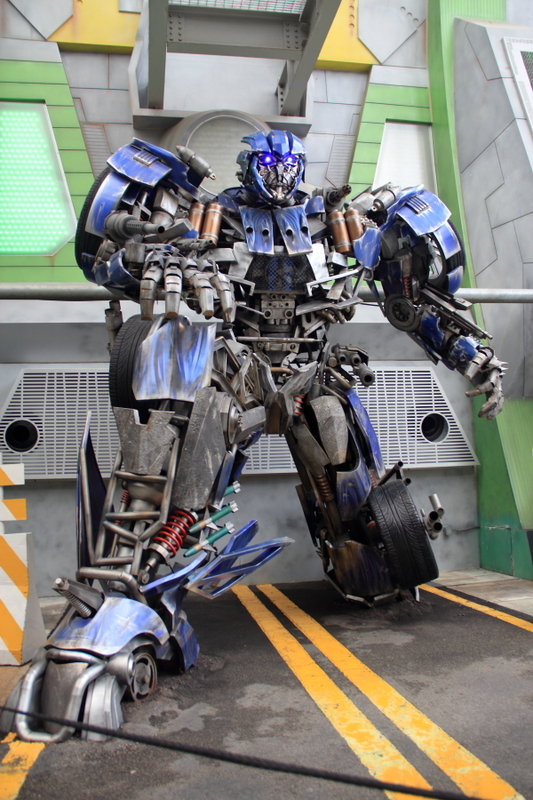 Sci Fi: TRANSFORMERS The Ride: The Ultimate 3D Battle – 3D rides as if you are in a Transformer robot, it may cause dizziness and severe motion sickness. 4. Sci Fi: Accelerator – spinning ride. 5. 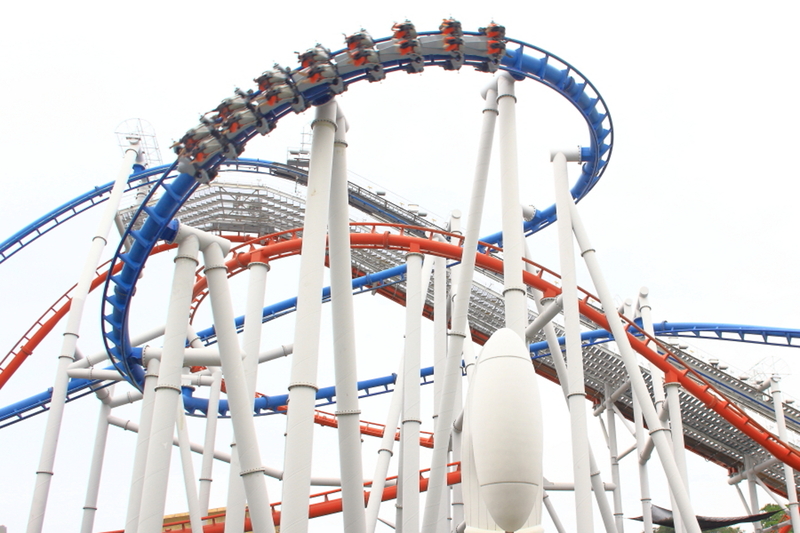 Sci Fi: Battlestar Galactica: HUMAN vs. CYLON (Recommended) – Human is the red roller coaster, while Cylon is the blue one. Both are high speed and equally popular, so do try both. Loose items are not allowed on the rides. 6. 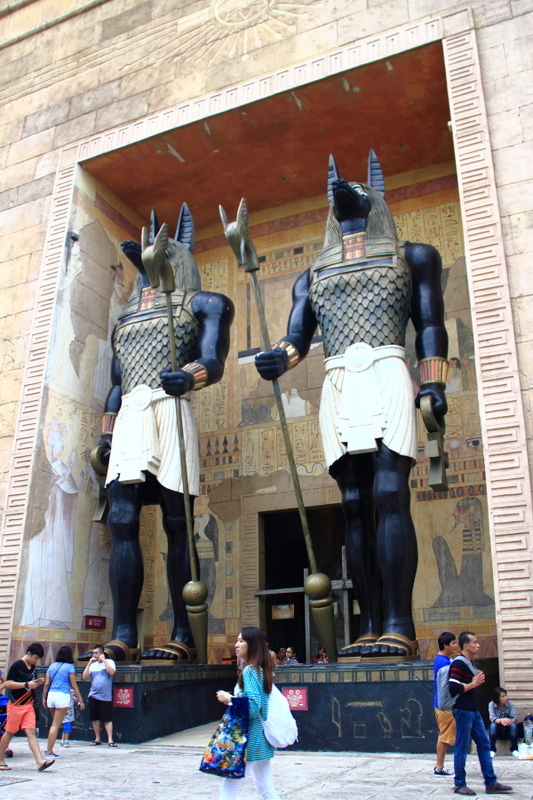 Ancient Egypt: Revenge of the Mummy (Recommended) – indoor high speed roller coaster in total darkness. 7. Ancient Egypt: Treasure Hunters [For Kids] – sit in a car and drive around a pool/lake. 8. The Lost World: Jurassic Park Rapids Adventure (Recommended) – river rafting with high current and a slide. 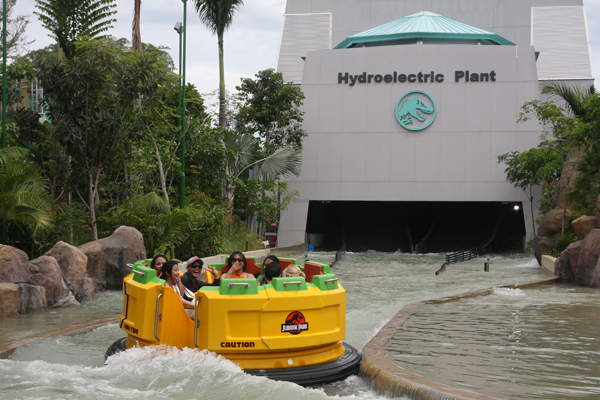 You will get wet from this ride, you can choose to bring your belongings on boat or keep them in lockers, but the lockers at Rapids Adventure are not free so if you want to save money, keep your stuff at Mummy’s lockers. 9. The Lost World: Canopy Flyer (Recommended) – medium to high speed overhanging flying vehicle. 10. The Lost World: Dino-Soarin’ [For Kids] – usual go round flying vehicle. 11. 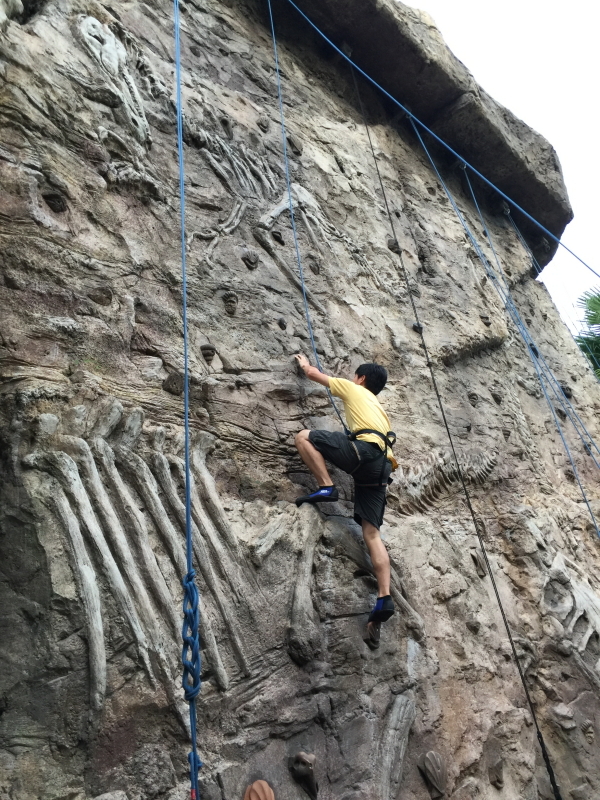 The Lost World: Amber Rock Climb – wall climbing with USS staff being the belayer. 12. Far Far Away: Puss In Boots’ Giant Journey – sit in a crate, which travels up and down at medium to high speed. 13. 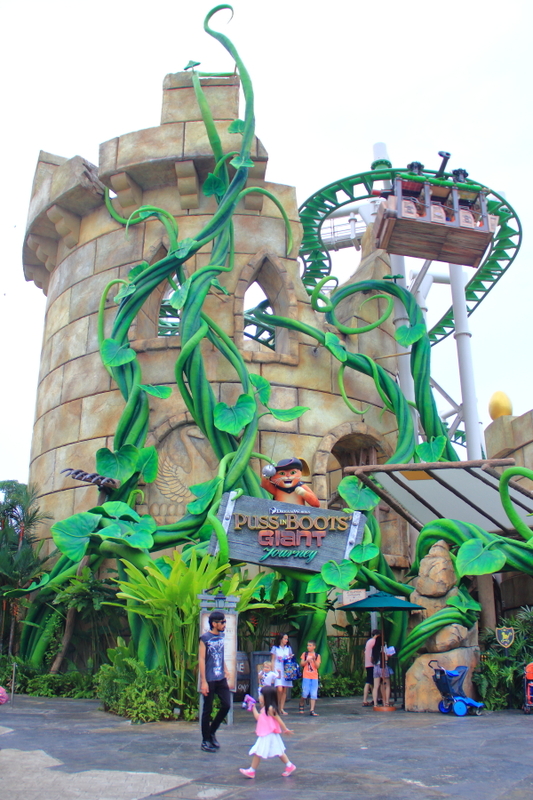 Far Far Away: Shrek 4-D Adventure (Recommended) – 4D show of Shrek’s adventure. 14. Far Far Away: Magic Potion Spin [For Kids] – children’s ferris wheel. 16. Madagascar: King Julien’s Beach Party-Go-Round [For Kids] – a carousel. 17. Madagascar: A Crate Adventure – sit in a boat and go through tunnel. 2. The Lost World: WaterWorld – a play based on blockbuster film, “Waterworld”. 3. Far Far Away: Donkey Live (Recommended) – a comedy show of Donkey’s live performance, it is an interactive show where Donkey respond to the actual conversation with MC and visitor. 1. Hollywood: Mel’s Dinettes – singing & dancing performance by waitresses of Mel’s Diners. 2. Hollywood: The Cruisers – singing & dancing performance by boyband at the stage near Mel’s Diner. 3. New York: The Rockafellas – breakdance performance at the corner near New York Library. 4. New York: Sesame Street Stage Shows – singing & dancing performance by Sesame Street characters near Loui’s NY Pizza Parlor. 5. Far Far Away: The Dance For The Magic Beans – dancing performance by Puss In Boots and Kitty Softpaws. 6. Madagascar: Madagascar Boogie! 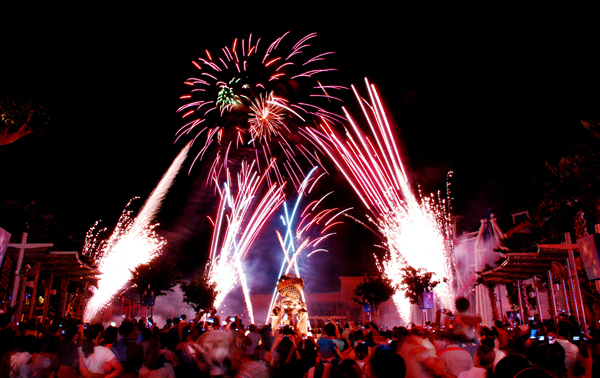 – dancing performance by Madagascar’s characters. 3. And many other special events that varies over the year, you need to check USS website for latest information. The official price of USS ticket is SGD 79. However, you can get cheaper tickets if you buy online. 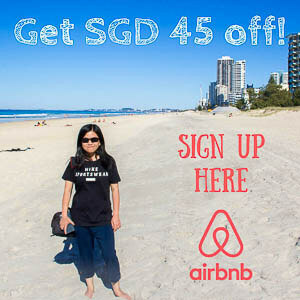 A one-day ticket is available at the discounted price of SGD 72 (additional 5% if you use my code “trevallogsg“). The admission ticket doesn’t need to be printed, you can use the electronic ticket for entry. Pin this for your future reference!